In simple words, web analytics is a process of tracking, measuring and analysing how many visitors come to your website, how they find it and how they use it. Online marketing is as much an art as it is a science and without a way of measuring your results , it is like shooting in the dark. Installing sophisticated Web Analytics is therefore essential to the success of all your online marketing efforts. Web Analytics have advanced significantly in the past years. It is now possible to know how many visitors looked at your website, and even which pages and in what order, how long they looked for, where they were before they visited your site. It is therefore surprising to see how many websites out there still don’t have any analytics installed, or they use just an old-fashioned visitors counter. All three main search engines : Google, Yahoo and Bing provide sophisticated (and FREE) Website Analytics tools that are easy to use. Web Analytics can help you allocate time and budget better, increase visitor engagement and satisfaction, convert more visitors into customers, and transform existing customers into loyal fans. Google Analytics is a free web analytics tool which provides sophisticated reports about traffic on your website. It lets you measure your advertising ROI as well as track your video and social networking sites and applications. Google analytics tool also offers GeoTargeting (targeting visitors in a specific geographic area), executive dashboard, site overlay, traffic conversion funnels, e-commerce reports and visitor segmentation analysis. The reports allow you to drill down and learn how visitors reach your site, on which page they exit , what they buy, how long they stay on each page and much more. The analysis offered by Google Analytics means that you can tailor the pages to suit your visitors, monitor the results of any advertising you do in a way that is impossible with printed or broadcast media. You can also set-up a Sales Funnel and monitor which components are not working as they should. Yahoo Analytics offers similar functionalities to Google Analytics. Yahoo! 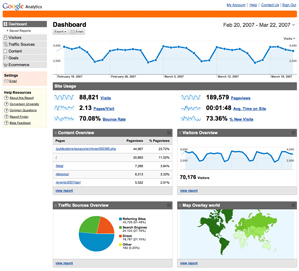 Web Analytics is now a free analytics tool, rather like Google Analytics. The new and improved service gives even better value for money now that it is completely free and has advanced features such as live data, complete path analysis, fully customisable reports, and segmentation wizards. Yahoo! Web Analytics enables you to track online advertising campaigns, including paid search campaigns, affiliate programs, email campaigns, display campaigns, etc. You can assign costs to all kinds of marketing campaigns, including those using fixed-cost, cost-per-click and cost-per-action pricing models. This allows you to calculate return on ad spend (ROAS) for these campaigns. You can also create hierarchical categories for organizing campaign results in your reports. With Live Cost Analysis (LCA), you can also calculate the ROAS of paid search campaigns by pulling together dynamic price information from the leading paid search engines (Google, Yahoo! Search Marketing, Bing/MSN, etc.) with the revenue earned on your web site, to measure the profitability of each PPC keyword. Bing Analytics tool seems the least sophisticated out of the three. To track your website performance in Bing, you don’t have install Bing analytics. Google Analytics tool shows the sources of traffic , so you will be able to see what percentage of your visitors used Bing search engine. 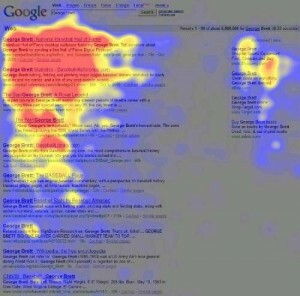 Crazy Egg View a heat-map image of your website, seeing where visitors click and how they use your site, to make good redesign choices. Clicky Realtime results with powerful segmentation, apps for data on-the-go, and Twitter keyword monitoring. Aspiring to be “the easiest web analytics” with data you can understand. 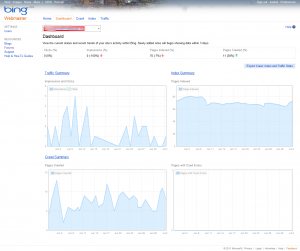 Piwik A downloadable, open source analytics software with real-time tracking to install on your server. Easy-to-use UI, and you can build your own custom plugins. Omniture Powering the Adobe Online Marketing Suite, this tool gives insight into organic and paid search, social media solutions, and drill-down details. If you want to learn more about Web Analytics, go to 30+ Google Analytics tools and resources. There is nothing you stopping you from installing more than one analytics on the same website. We install Google Analytics as standard on all our websites, if you would rather prefer to have Yahoo, this is available as an optional extra.